Welcome to the San Juan Board of Cooperative Educational Services. We are a publicly funded cooperative consisting of eight school districts in rural Southwestern Colorado. Our primary mission is to support Exceptional Student Services for children and youth with disabilities in their school environment. 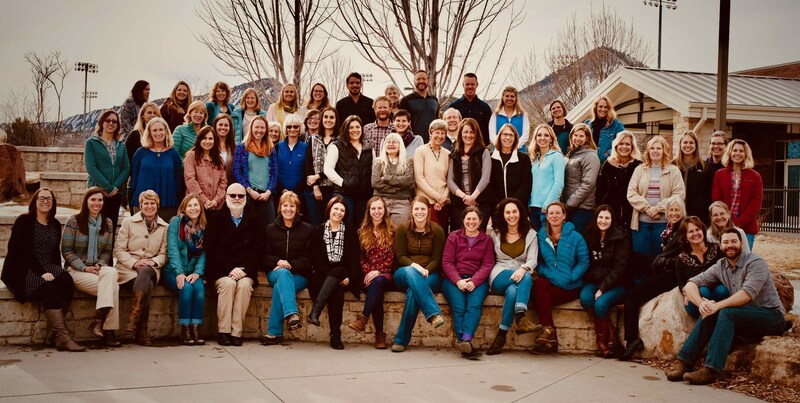 This work has grown into a rich network of programs and services that support all students, including a strong educator induction program and the Southwest Colorado eSchool. Our member districts include Archuleta 50JT (Pagosa Springs), Bayfield 10 JT-R, Dolores RE-4A, Dolores County RE-2J (Dove Creek), Ignacio 11JT, Mancos RE-6, Montezuma-Cortez RE-1, and Silverton District 1. We have over 60 Special Service Providers, such as occupational therapists and school psychologists, supporting students throughout the region within more than 40 schools and preschools. The culture of our organization is built on collaboration, shared leadership and strong professional practices. We believe that cooperative teamwork is the best way to support children, their families, and educators. We work with many community partners to ensure that we leverage the greatest possible resources for our region. We hope that you enjoy exploring the resources and information on our website and encourage you to contact us with any questions or for additional information. Welcome to our new website! We are still working to make it even better. If you are having trouble finding things or have any questions, don't hesitate to contact us at help@sjboces.org. We are currently looking for a School Psychologist and a Part-time Special Education Paraprofessional Aide to join our team! Please click on the individual job titles above to learn more. Please join us for this free event for people of all abilities. Enjoy a free lunch and opportunities to network and learn about community resources. June 4th at Fort Lewis College. This free training will be at the Durango Public Library May 2 & 3. Please click the title above for more information. June 4-6 2019, Colorado State University, Fort Collins Colorado. Please click the title above for the full flyer. Inclusion is extraordinary! We are so excited to share this incredible music video created with support from staff, students and volunteers from Bayfield Primary School and San Juan BOCES. Click the title above to watch!